Logically remove the modem from the network. Logically removes the modem from the network (and any security vulnerabilities it may have). All traffic between the local network and the ISP is managed directly by pfSense. Leaves only one NAT device in the local network. Navigate to Interfaces - WAN. Change the IPv4 Configuration Type to “PPPoE”. Enter the Username and Password for your ISP account. Navigate to System - Routing. Ensure there is only one entry and that it is for WAN_PPPoE and that it is set as the default. To fix this inconvenience a couple of things need to be done. Navigate to Interfaces - (assign). Select the Network Port that the Modem is connected to and then add selected interface (the plus symbol). Select the new interface and enable it. Select Save and then Apply Changes. 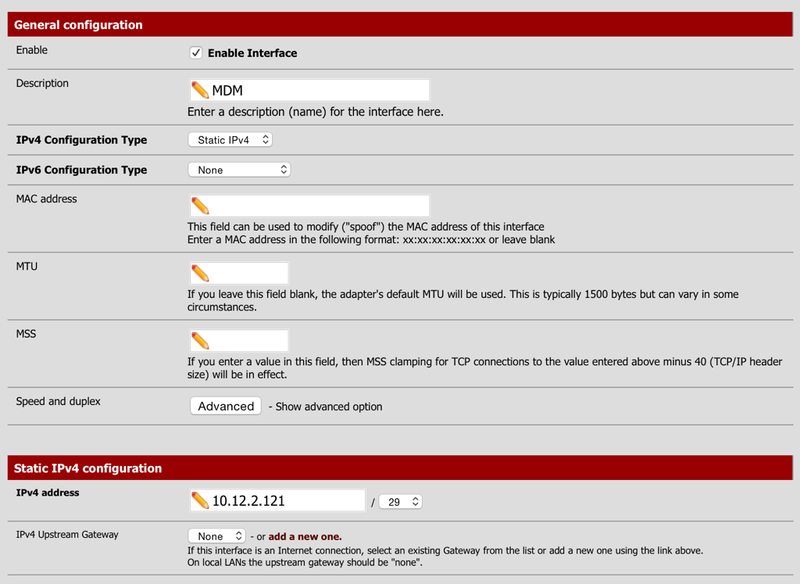 Navigate to Firewall - NAT and select the Outbound tab. 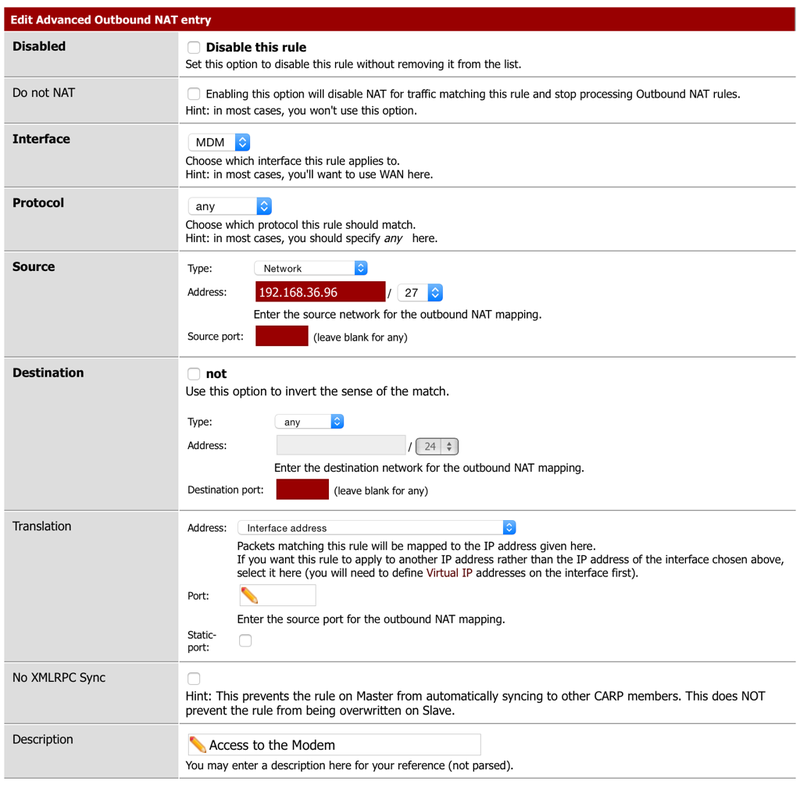 Switch to “Manual Outbound NAT rule generation” and select Save. Select “add new mapping” (the plus symbol). Select Save and then Select Apply Changes.